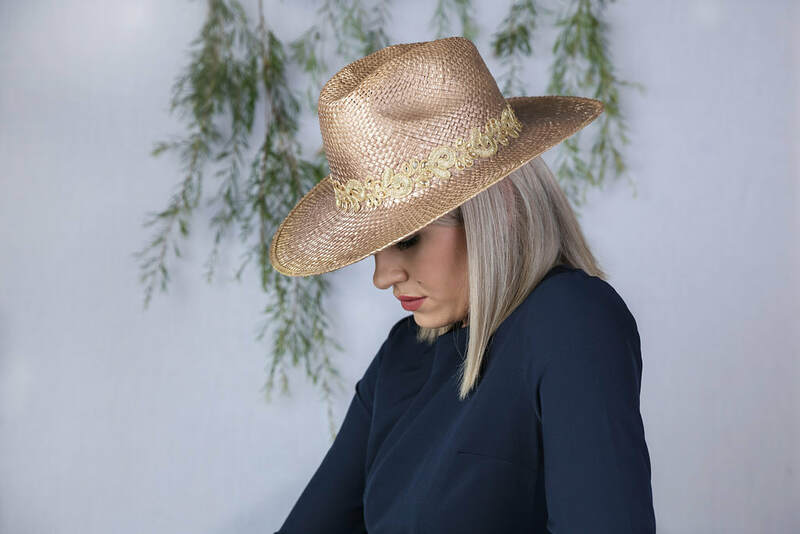 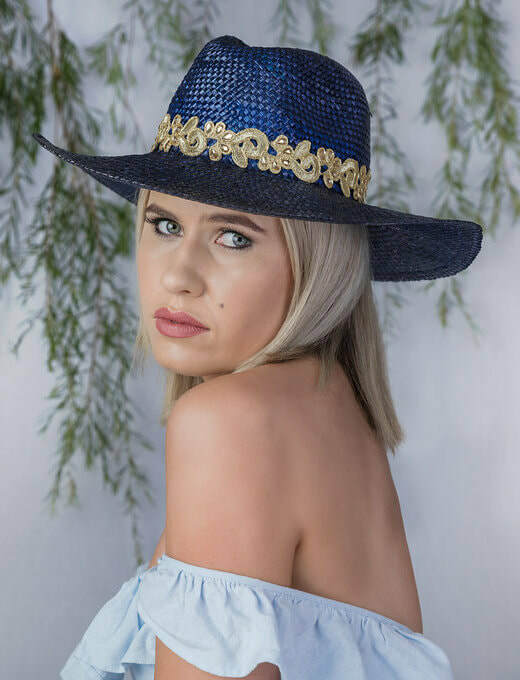 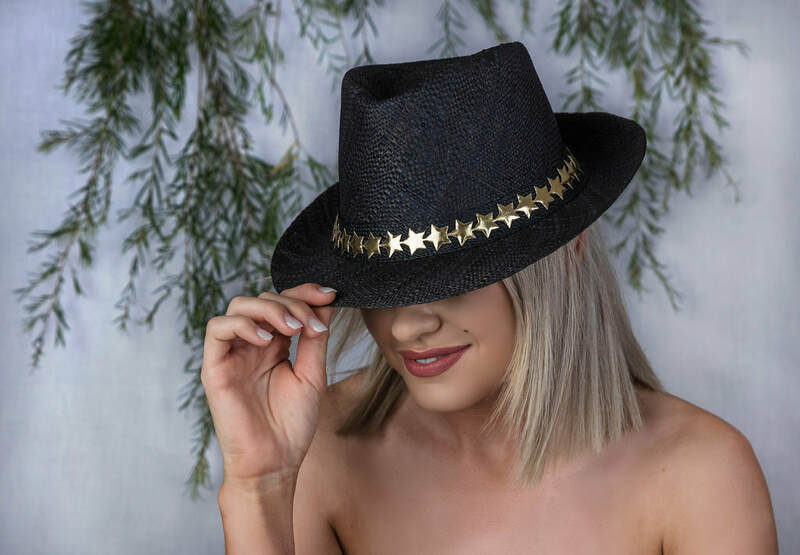 Large brimmed fedora hat with beautiful deep blue Italian straw hand blocked with gold lace and jewelled headband. 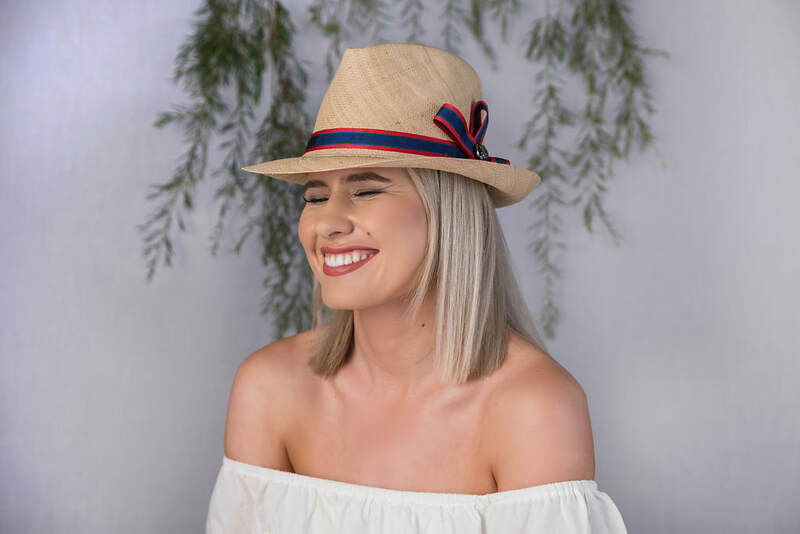 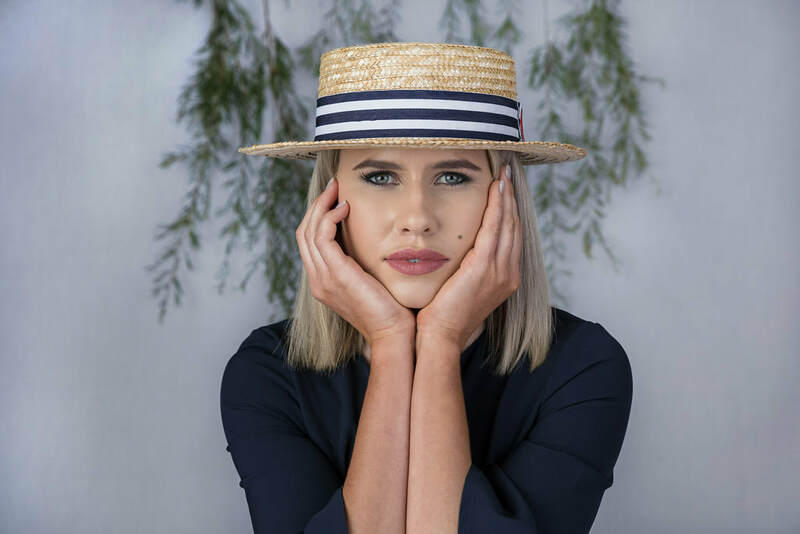 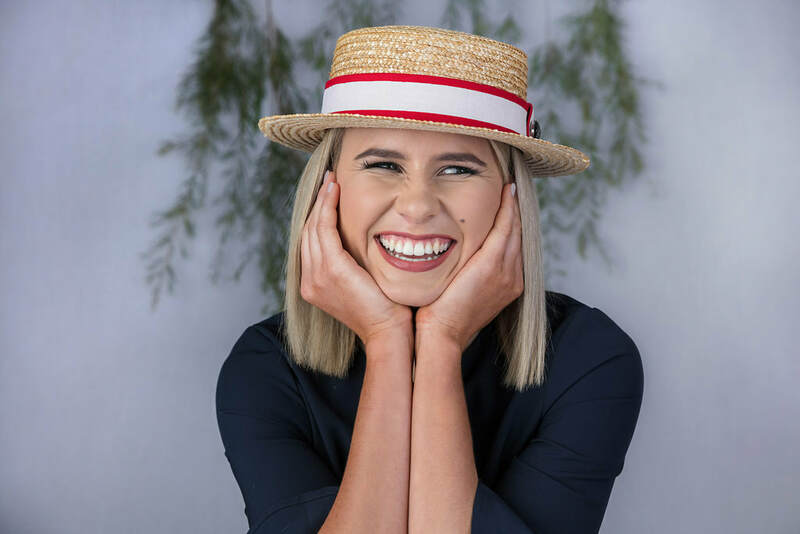 Classic short brimmed fedora hat made with light natural fine straw and a red and navy headband with bow. 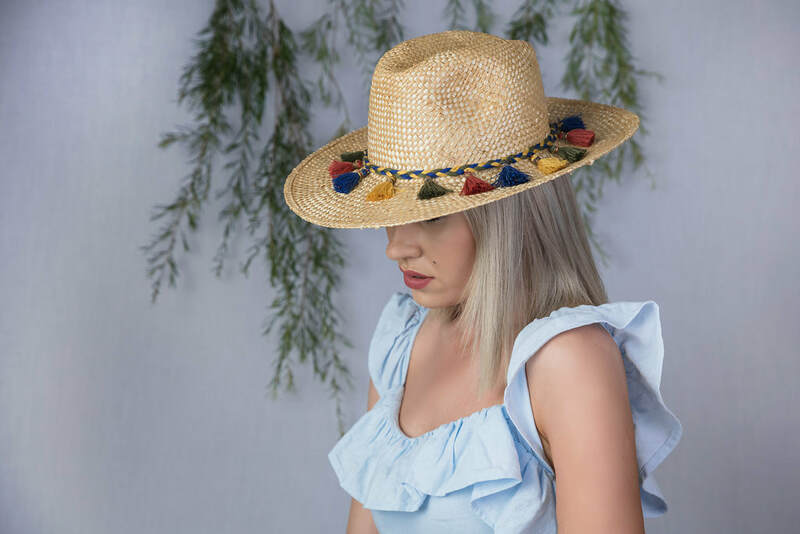 Classic large brimmed fedora hat made from beautiful natural straw hand blocked with multicoloured tassel headband.